Parasitic worms are a widespread public health burden, yet very little is known about the cellular and molecular mechanisms that contribute to their parasitic lifestyle. One of the major barriers to better understanding these mechanisms is that there are currently no available methods for making targeted gene knockouts in any parasitic worm species. Here, we describe the first mutant phenotype in a parasitic worm resulting from a targeted gene disruption. We applied CRISPR-Cas9-mediated mutagenesis to parasitic worms in the genus Strongyloides and developed a method that overcomes many of the challenges that have previously inhibited generating mutant parasitic worms. We characterize heritable mutant phenotypes and outline a toolkit that will be applicable to many other genes with potential roles in parasitism. Importantly, we developed our method for gene knockouts in a human-parasitic worm. By directly investigating the genes and molecular pathways that enable worms to parasitize humans, we may be able to develop novel anthelmintic therapies or other measures for preventing nematode infections. In comparative high-throughput sequencing assays, a fundamental task is the analysis of count data, such as read counts per gene in RNA-seq, for evidence of systematic changes across experimental conditions. Small replicate numbers, discreteness, large dynamic range and the presence of outliers require a suitable statistical approach. We present DESeq2, a method for differential analysis of count data, using shrinkage estimation for dispersions and fold changes to improve stability and interpretability of estimates. This enables a more quantitative analysis focused on the strength rather than the mere presence of differential expression. The DESeq2 package is available at http://www.bioconductor.org/packages/release/bioc/html/DESeq2.html. Electronic supplementary material The online version of this article (doi:10.1186/s13059-014-0550-8) contains supplementary material, which is available to authorized users. This work was funded by the Whitcome Predoctoral Training Program, UCLA Molecular Biology Institute, Ruth L. Kirschstein National Research Service Award AI007323, and National Science Foundation East Asia and Pacific Summer Institute Fellowship Award 1414655 (SSG); the UCLA Undergraduate Research Scholar Program (EY); the UCLA-Howard Hughes Medical Institute Pathways to Success Program (JBL); and a Burroughs-Wellcome Fund Investigators in the Pathogenesis of Disease Award, NIH New Innovator Award 1DP2DC014596, and Howard Hughes Medical Institute Faculty Scholar Award (EAH). The funders had no role in study design, data collection and analysis, decision to publish, or preparation of the manuscript. [Investigation of intestinal parasites in AIDS patients]. Dual targeting of topoisomerase IV and gyrase to reduce mutant selection: direct testing of the paradigm by using WCK-1734, a new fluoroquinolone, and ciprofloxacin. 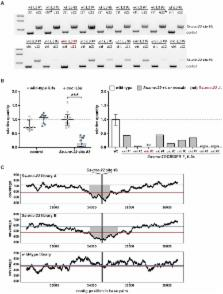 Mismatch repair deficiency does not enhance ENU mutagenesis in the zebrafish germ line.